Should be looking for any type of Gate Automation system from swing gates, to sliding gates then look no further we have the answer, Gate Automation systems are a fantastic way of protecting you and your loved ones from unwanted visitors to your home. Nearly all Gate Automation systems available in today's market place all come with some fantastic features, these include Intercom Systems which allow you to speak to visitors before allowing them entry, GSM Intercoms these units are extremely popular as they will allow you to open your gates remotely so if your not at your home or business premises you can simply call up your gate system and allow entry to your visitor. When you first contact us about your Gate Automation Requirements we will then arrange a full site survey and then provide you with a full risk assessment offering you different solution to meet your Gate Automation project criteria. Here at J Paul Security Solutions we have installed and maintained various types of Gate Automation Systems giving you the confidence that you and your project are in safe hands, as part of our on going commitment and support package to all of our clients who have a Gate Automation System installed by us you will be provided with a full 24 hour 265 day support system regardless of the time of day or night, as we are confident in offering you 24 hour support this reflects on the quality of product that we use. 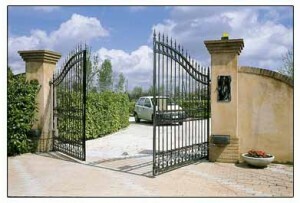 Even if you have an existing Gate Automation System and you are having problems, don't panic simply give us a call, tell us the make and model if you have it to hand and we can provide you with a solution to resolve your Gate Automation Problem.